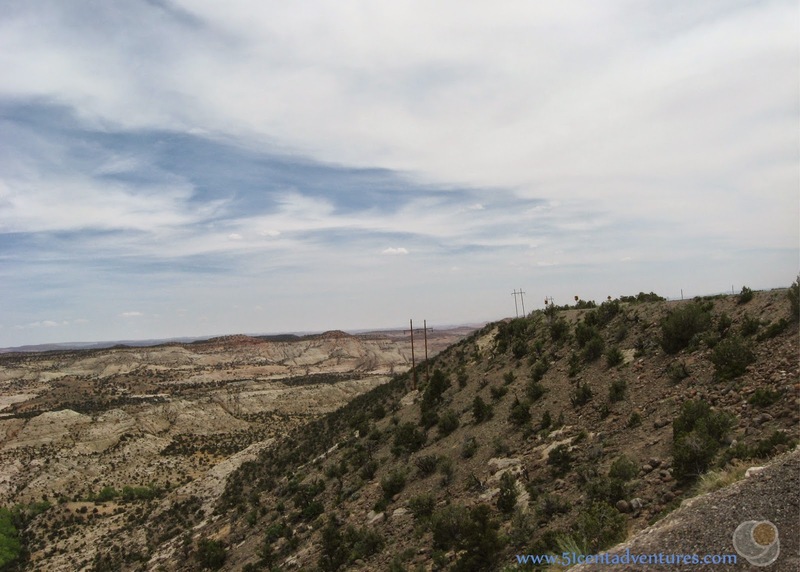 Description: This 29 mile stretch of Utah Highway 12 connects the towns of Escalante and Boulder. The road runs through a rough, untamed land. Location: Between the Utah towns of Escalante and Boulder. Driving on this road was part of the fourth day of the Southern Utah Road Trip that my husband and I went on for our anniversary in May of 2010. We left Escalante Petrified Forest State Park in Escalante and drove to Anazasi State Park in Boulder. On the map this section of the road looked ordinary enough. When I planned our roadtrip I figured the 29 mile drive would be rather uneventful. As we drove I began to realize what a remote area we were entering. The paved road was the only, and I mean only, sign of civilization. The land that we were driving through was rough and untamed. It seemed as if the land barely allowed the road to be there. The road was forced to climb hills and descend into valleys. This was no straight and simple drive. 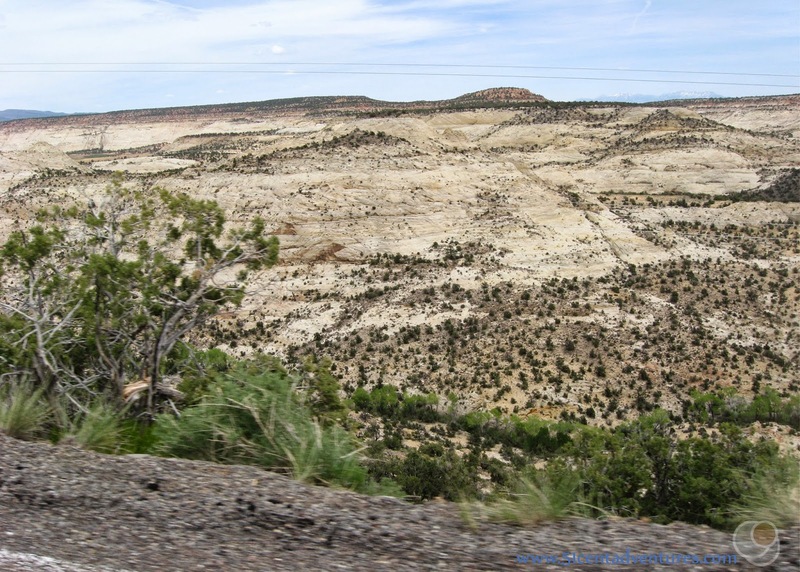 The road dropped into a valley near the Escalante River. We were in the valley for a few minutes, and then the road started climbing again. The road started following Calf Creek. I didn't know it at the time, but this area is maintained by the Bureau of Land Management. 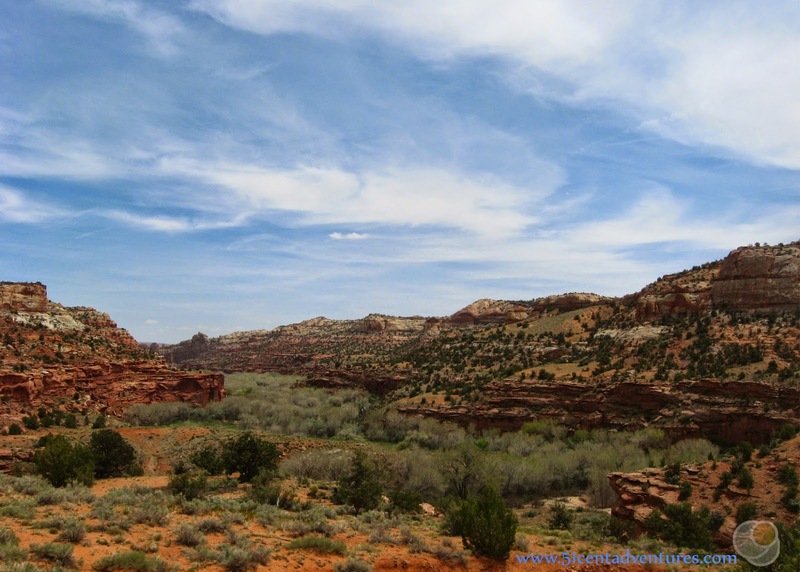 It's known as the Calf Creek Recreation Area. There is a campground with hiking trails. 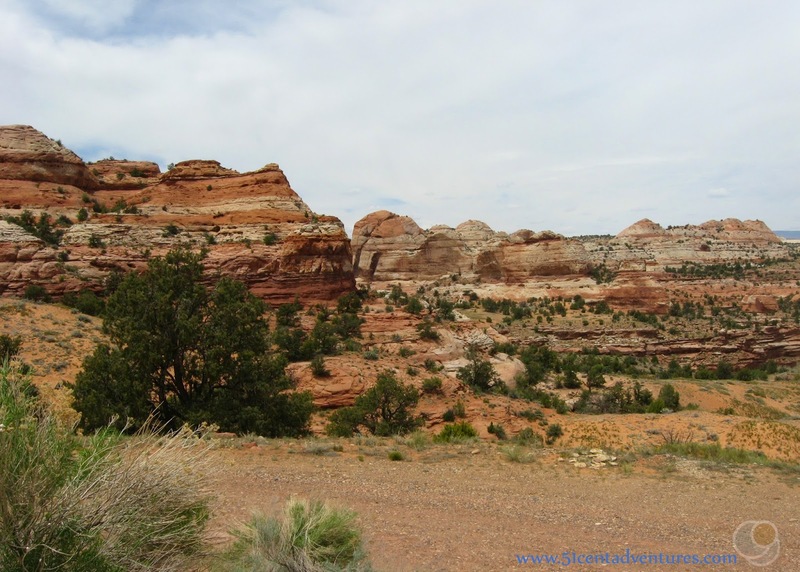 One of the trails leads to the Lower Calf Creek Falls. I wish I had known about this waterfall because from all the pictures I have seen it is beautiful. The hike to the falls is 6 miles round trip, so we probably wouldn't have had time to stop anyway. I definitely want to go back and see this waterfall someday. There is also a hike to the less popular Upper Calf Creek Falls that starts at the campground too. Even without going on a hike, the road ensured that we had an adventure. The "Hogback" section of the road was the most unnerving part of the whole drive. We were driving along the top of a ridge with a drop off on either side of the car. In hindsight, I wish we had stopped the car and got out to take a picture, but both of us just wanted to get off that ridge as fast as possible. I did take this picture out the window as we drove. By the way, I adjusted the color of this photo in Photoshop, but I was trying to make it look less alien. There wasn't much I could do for the picture though, the landscape really did look that bizarre. This is a picture I took looking back at the ridge where the road was. Brandon and I nicknamed this part of Highway 12 "Angel's Landing for Cars" because it reminded us of our climb up Angel's Landing two days earlier. Highway 12 had several overlooks with signs that talked about the areas we were passing. We took this trip in the carefree days when we didn't have kids so we could stop and read the signs. (These days if the kids are asleep we don't stop for anything,) One of the signs explained that this road was built by the Civilian Conservation Corps and was completed in 1940. Until that time the residents of Boulder still received their mail by pack mule train for part of the year. The road was so complicated to engineer and build that the men who worked on it nicknamed it the Million Dollar Road to Boulder. Recommendation: This was probably the most memorable stretch of road I've ever driven on. Be prepared for more than your average 30 mile drive. 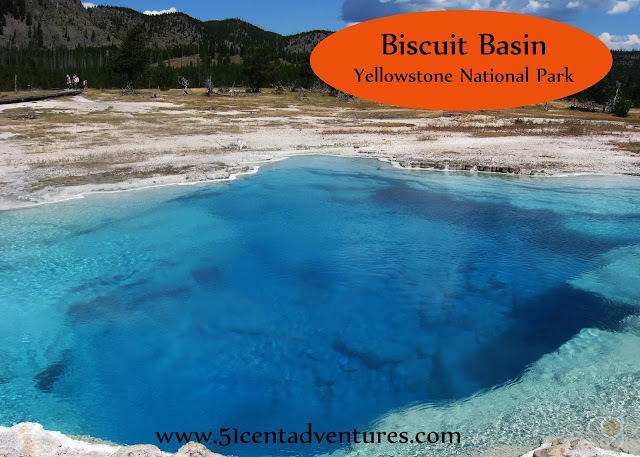 Additional Information: When we started driving along Highway 12 I wasn't prepared for what an adventure it would be. The few pictures that I took don't quite show everything that you will encounter on the drive. For more pictures of Highway 12 check out this post from Take My Trip. 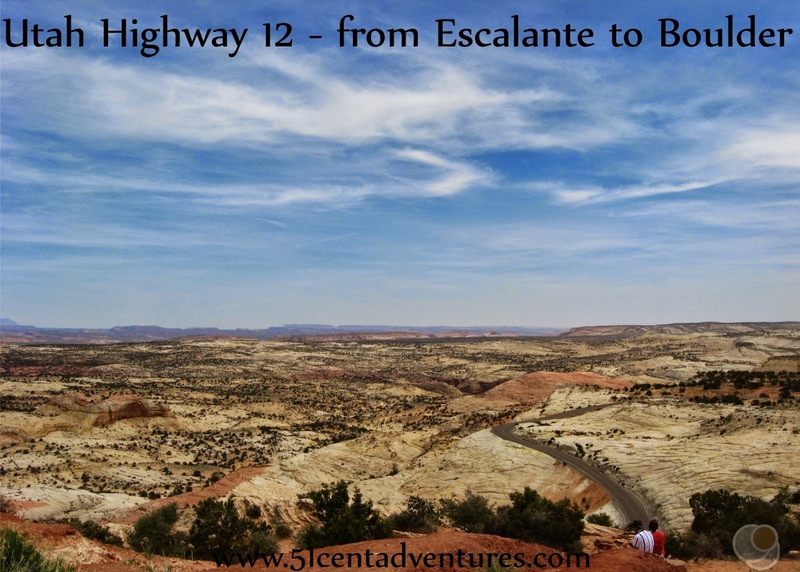 Places nearby: Highway 12 isn't your only option for how to travel from Escalante to Boulder. Nor is it the scariest option. 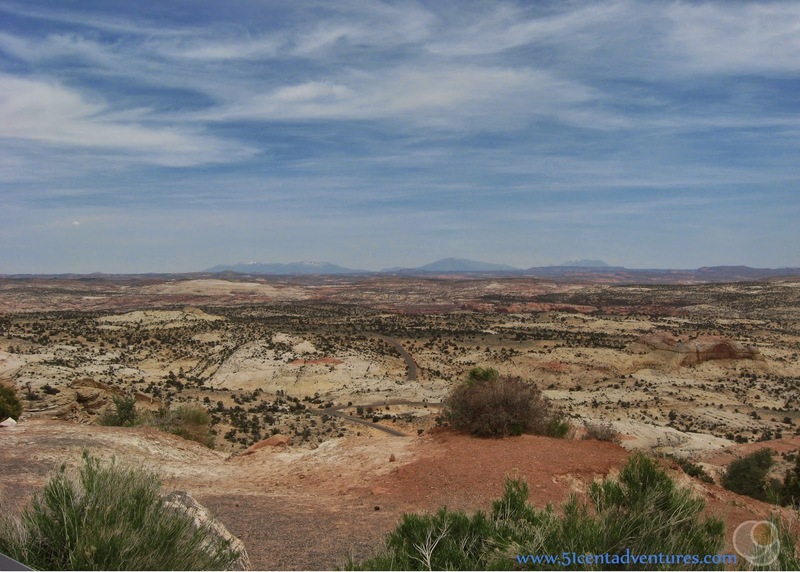 State Road 153 or Hell's Backbone Road is a gravel road that winds and climbs through remote back country between Escalante and Boulder. This was the route into Boulder before Highway 12 was built. I hear the hogsback along this road is a nail biting experience.